Congratulations to ZHENG who gained admission to MERIDIAN SECONDARY SCHOOL . She studied our Preparatory Course for Admission to Govt School for 13 months. Congratulations to MINH ANH who gained admission to LIANHUA PRIMARY SCHOOL . She studied our Preparatory Course for Admission to Govt School for 9 months. Congratulations to LI who gained admission to ASSUMPTION ENGLISH SCHOOL. He studied our Preparatory Course for Admission to Govt School for 4 months. Congratulations to CHENG who gained admission to JU YING PRIMARY SCHOOL. He studied our Preparatory Course for Admission to Govt School for 3 months. Congratulations to LIN who gained admission to FUHUA SECONDARY SCHOOL . She studied our Preparatory Course for Admission to Govt School for 3 months. Congratulations to TRAN who gained admission to JU YING PRIMARY SCHOOL . He studied our Preparatory Course for Admission to Govt School for 2 months . 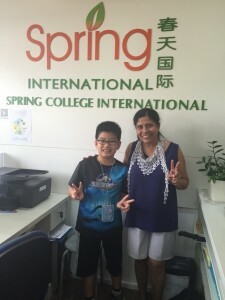 Congratulations to SUN who gained admission to XINGHUA PRIMARY SCHOOL. She studied our Preparatory Course for Admission to Govt School for 1 months. 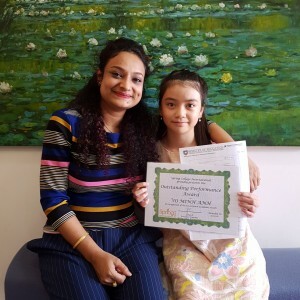 Congratulations to LAU who gained admission to ANG MO KIO PRIMARY SCHOOL. He studied our Preparatory Course for Admission to Govt School for 1 months. Congratulations to LIU who gained admission to JING SHAN PRIMARY SCHOOL. She studied our Preparatory Course for Admission to Govt School for 2 weeks .